Go ahead... see what CyberStore2 for SYSPRO can do for you. If you are like most people, you will quickly see the true power that CyberStore 2 for SYSPRO gives you. While exploring the demo store know that all pricing, inventory information, and sales order processing is fully connected to SYSPRO's core business logic in true real-time. 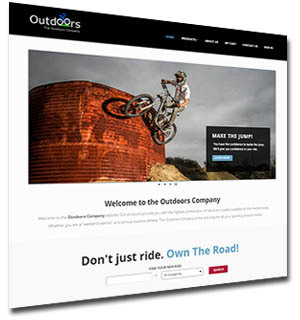 The demonstration website is based on The Outdoors Company - a fictitious company used by SYSPRO to demonstrate, train and implement their complete ERP system. For the purposes of the website, the business model is one that sells product directly to end consumers (B2C) and through dealer and wholesaler channels (B2B). Be sure to download the guide before you visit the site for an optimal view of B2C and B2B features.